Following the signing of the Comprehensive and Progressive Agreement for the Trans-Pacific Partnership (CPTPP) last Thursday, Malaysia is now shifting its focus to conclude the Regional Comprehensive Economic Partnership (RCEP), said International Trade and Industry Minister Datuk Seri Mustapa Mohamed. The CPTPP was signed by all 11 member nations — Australia, Malaysia, Brunei, Canada, Chile, Japan, Mexico, New Zealand, Peru, Singapore and Vietnam — in Santiago, Chile. “It is our view that both CPTPP and RCEP will serve as building blocks towards a more open and fairer trade and investment regime in the Asia-Pacific region,” said Mustapa in a statement last Friday. The RCEP is a proposed free trade agreement involving Asean, Australia, China, India, Japan, South Korea and New Zealand with a combined population of 3.4 billion. 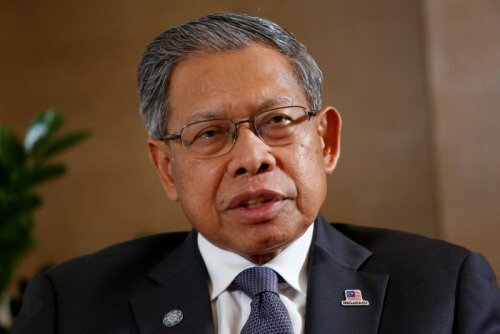 Elaborating on the CPTPP, Mustapa said Malaysia is taking the necessary steps to amend the relevant laws in order to complete the ratification process and enable the implementation of the agreement as soon as possible. “As one of the pioneer members who has successfully negotiated the agreement ‘on our terms’, Malaysia should not miss the opportunity to grab the benefits of this agreement, and efforts to complete the ratification process should be intensified,” he added. Mustapa said the signing of the CPTPP is timely, as it showed Malaysia’s commitment towards an open and liberal trading system. “What the world needs now is more trade and investment flows, and not restricted markets,” he said. Mustapa added that despite the absence of the US, Malaysia stood to gain from market access to countries like Canada, Peru and Mexico — countries which does not have a preferential trading arrangement with Malaysia. In addition to market access, Malaysia’s participation in the CPTPP would also benefit the country in terms of enhancing governance in a number of economic sectors, strengthening economic cooperation among member countries and promoting adoption of international standards, he said. “This agreement will help us to further promote our trade and investment agenda and mitigate the challenges of the global economic environment,” the minister added. The CPTPP was concluded on Jan 23, 2018, in Tokyo, Japan, after eight rounds of negotiations which started early 2017 at the ministers and senior officials level.